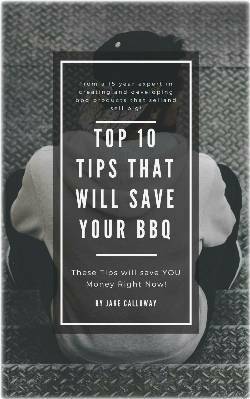 This EBook: Top 10 BBQ Tips That Will Save Your BBQ Download focuses insightful Tips on Food Safety and Barbecue Basics That Will Save Your Next Barbecue. This eBook Download is the first in a series of Four eBooks dedicated to perfecting the art of barbecue. Follow these bbq tips and brush up on your techniques to improve your results and guarantee a great meal. The term “steak and potatoes” is as common in many areas of the country as say, bread and butter. Steak is a daily meal prepared in many forms across the American plains. But for many steaks and the cooking of steak is a mystery. All too often we’ve heard horror story after horror story about how someone purchased a fine steak only to ruin it during the cooking process. To make sure that doesn’t happen to you we’ve assembled what we like to call the Five Secrets to a Great Steak. Follow these directions to ensure you get the best out of your steak and your hard earned dollars. Here's a Top 10 Tip we use when it comes to a great steak. 1. First determine the time frame and heat level necessary to cook your steak. That's usually done by sizing the steak(s). The best cuts are usually 1-1/2 to 2 inches thick. In direct cooking the meat is to be grilled directly over the coals or a gas broiler. This is the preferred method for steaks; roasting a steak which can be done will in many cases make the steak tough and chewy. Direct cooking will bring the steak to the right temperature holding a desirable amount of moisture, firmness and tenderness. 2. When using a charcoal grill build a fire so that half of the grate is spread with a single layer of charcoal and the other half with two or three layers. Leave some space between the charcoals on the single layer. The single layer will be the area used for medium heat and for holding the temperature of steaks that cook faster than others. It is important to check the temperature of a steak in the holding area often so that it is not left to roast. Of course there are more top 10 bbq tips but you'll have to get this eBook to complete your knowledge. Keep this online ebook reference by the grill or in the kitchen and refer to it often. Be sure to get eBook download 2 "Hidden Secrets of BBQ". This is another great eBook that focuses on the behind the scenes of Barbecue and gives you lots of great useful information that will improve your skills to put you steps ahead of the competition ensuring that you get more from every barbecue.